Formerly known as Optiphen ND. Ashland Chemical is the manufacturer and owner of the trademark Optiphen ND. We have received legal notice that small suppliers may no longer use the brand name of the product. Therefore on 11/20/2017 we have changed the product name as they have requested. This a paraben free preservative that works best in surfactant based products including shampoos, conditioners, body washes and shower gels. Can also be used in creams and lotions where the pH is not above 6.0.This product contains benzoic acid which may be deactivated by the following non-ionic surfactants and emulsifiers: Ethoxylates, Alkoxylates, Cocamide, as the preservative may become inactive. Provides broad spectrum protection against bacteria, yeast, and mold. Does not contain formaldehyde or formaldehyde releasers. To prevent bacteria, mold and fungal growth in products. Hair Care. Lotions. Creams. Scrubs. Benzoic Acid should not be used in formulas containing Ethoxylates, Alkoxylates, Cocamide. Do not use in formulas that contain Ethoxylates, Alkoxylates, Cocamide, as the preservative may become inactive. Recommended use level: 0.2% - 1.2%. Can be added to any phase of the formulation at temperatures up to 80°C (176°F). In aqueous products with low emulsifier content, intensive mixing is recommended to achieve a uniform dispersal of the preservative. "Does not alter the lotion scent"
COMMENTS: I've used this in my lotions since the beginning. I've heard some additives smell. Well this one doesn't and works great for me. COMMENTS: works great in lotions. Thank you for a great product! 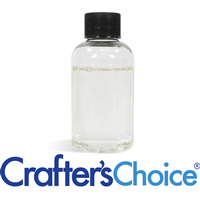 COMMENTS: Better to be safe than sorry, always use a quality preservative like this in your handmade items. Works with a variety of different products and is easy to use. It's a big selling point that it's paraben free. It would be nice to have a 4oz and 8oz size available to purchase. COMMENTS: I love this preservative because it is natural and i make all natural products. The shelf life is greatly extended. The odor fades very quickly and does not stay in the finished product. COMMENTS: Used this in lotion and has been working great. COMMENTS: I absolutely love this product. It works well in everything I have tried it with sovdar. Easy to use and works with a variety of products. "It's my go to preservative"
COMMENTS: I like working with this preservative. I use it for my lotions. I have no issues with it. It behaves great. COMMENTS: I prefer this preservative over others because it doesn't contain parabens. I use this for my hair detanglers/after sun sprays and I have never had any issues. No thinning that I've noticed, and no separating. Once it's in a product, I can't smell it at all and I've even used it in an unscented product. I really wish that WSP would start carrying other Optiphen preservatives as well, I would love to be able to order them all from the same supplier. I will definitely keep this in stock! COMMENTS: I have never had a problem using this in sugar scrubs...awesome product! Wish there was a larger size..like 6 oz. • Make sizes in between the 1 lb. "I love the purpose of this product"
COMMENTS: I have to love this as it hasn't given me any reason not too. I think that it is extremely important to use some type of preservative for your products. It is better safe than sorry. COMMENTS: I use this for my body butters, magnesium chloride cream, lotions (even though they have a pump) and anything else that may come into contact with one's hands (other than soap of course). You only use a small amount and when weighed against the problem of having a product become contaminated, it is worth the price. Don't skip this step - it is not worth the grief it will cause. COMMENTS: This is an awesome preservative, very reliable easy to use! COMMENTS: Works great in my sugar scrubs?. Did not have to alter my recipe and it does not change the scent. COMMENTS: Great parables free product to use in water based products. COMMENTS: I have had no issues with any of the products I have used this in. I will order more! COMMENTS: I haven't found it necessary to alter any of my recipes to include this preservative. It works well with my scrubs as well as my lotions & butters. • Knowing my products will last longer. "A must have to preserve your products"
COMMENTS: This is my favorite preservative for my hair conditioners. I like that it is broad spectrum. It doesn't thin the product like other preservatives can. And you only need a small amount so the bottle goes a long way. I highly recommend this product. COMMENTS: This is a good preservative but please take special note that this does not work in non-ionic surfactants and emulsifiers. Do your research and see that this should NOT be used with any of the emulsifying waxes (soft silky, conditioning, traditional) or polysorbates (choose a different preservative for these awesome ingredients). It does work with the bees wax and such. Don't take my word for it though, do your research. COMMENTS: Always use it in my lotions! Definitely a good preservative to have! COMMENTS: This is my first time using a preservative. So far I'm very happy with it. Incorporated easily into my emulsified sugar scrub. COMMENTS: I started using this for my goat milk lotions and scrubs. I love that it is paraben and formaldehyde free. "Love that this is Paraben Free!" COMMENTS: I don't have to feel all defensive about putting this on my labels! Paraben and formaldehyde free, it keeps my lotions and creams safe from uglies! COMMENTS: I have tried all types of preservatives, but Optiphen is my fave to work with in formulation water based hair & body lotions and contioners Most of my products are 100% natural, vegan and pthalate-free. Thanks to Optiphen, I can add "paraben-free" to my labels as well. "Excellent for my sugar scrubs and lotions"
COMMENTS: I'm very scared of bacteria growing in my products and so far, I haven't had any signs of bacterial growth in them. This is a staple ingredient for me. Wonderful. "When using this I am having problems with it sticking to my blender stick. What can I do different? I have tried to mix it when my formation is warm." Staff Answer We have not heard of this problem before. You might try heating this briefly then adding into your formula. You also might try stirring in with a spatula then stick blending. 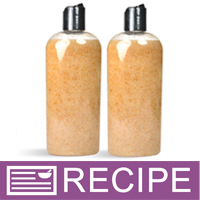 "Can this be used in an anhydrous product such as a non-emulsified body scrub? TY"
Staff Answer You might want something more suited to oil based products. We would recommend Phenonip, Water Soluble PF or Water Soluble/025. "Is this the same as product I purchased 9/2018 on here, 09/26/2018	Name: Preservative - Water Soluble Size: 0.125 lb (2 oz)	1	$3.95	$3.95 09/26/2018	Name: Preservative - Water Soluble PF Size: 0.125 lb (2 oz)	1	$3.95	$3.95 "
"I’m making sugar scrubs with the foaming bath whip for friends and was wondering should I add this as a safeguard? I know the bath whip already has a preservative, but if left in the shower do I need to add extra? Thank you"
Staff Answer It is always good to add an extra preservative if you feel there may be water contact with the product. So would this preservative be best for a scrub with the foaming bath whip. Sugar and oils ? Staff Answer You could use this preservative or the Sorbic Acid + 2 PF. ""Hello, Can I use this in a serum, that contain glycerin, vitamin E, stearic acid and water? Thanks!"" Staff Answer You can use this in your product but we do recommend testing the product to be sure the preservative works effectively. "Just want to clarify, can this product be used in a recipe that contains CocoB (bubble up)?" Staff Answer This preservative can be used with Cocamidopropyl Betaine. The preservative is less effective with surfactants that have a higher viscosity level. "Is this for the lips? I'm looking for a preservative for my lip gloss paraben free"
Staff Answer The only preservative approved for lip products is Phenonip. "I am using cucumber in my melt and pull soap base, I think I need a preservative because the cucumber contain water i use vitamin E oil but two weeks later my soap is turning brown. Will this work in The soap"
"Hello, Can I use this in a foaming bath whip recipe containing SCI, glycerin, bubble up, and stearic acid? Thanks!" Staff Answer Yes, this preservative can be used in your recipe. "I am making liquid soaps and using this for the first time. What is the best % to use? " Staff Answer The recommended use level is 0.2%-1/2%. We would recommend using the maximum for your product. "I currently have Germaben. I am looking for a paraben and formaldehyde free preservative for liquid soap, body butter and lotion. Would this suffice for all three products or do you recommend a specific preservative for each product? Thanks." Staff Answer Optiphen ND or Optiphen Plus would work in the liquid soap and lotions. 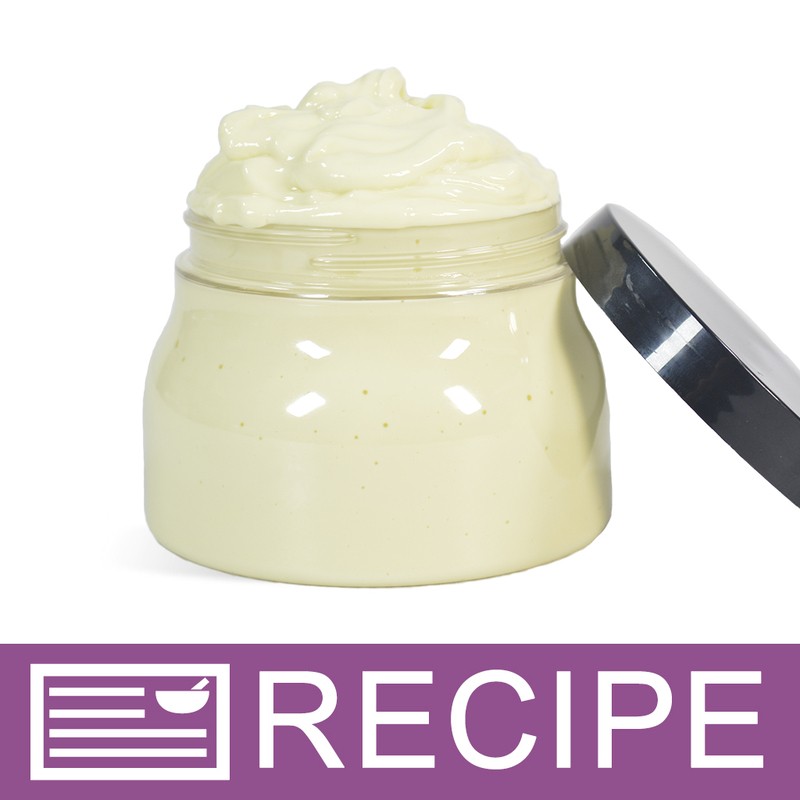 Body butters do not need a regular preservative as they do not contain water. We recommend adding an anti-oxidant such as Vitamin E or ROE (Rosemary Oleoresin) to help keep oils/butters from turning rancid. "Hi, Can this product be used as a preservative in a mixture of Aloe Vera Juice, Bentonite Clay and Activated Charcoal? Thanks "
Staff Answer This preservative works best with surfactant based products, such as shampoos or shower gels. You might want to use Preservative-Sorbic Acid +2 PF (Optiphen Plus). You are ultimately responsible for testing your product for mold or bacterial growth. "I want to know what preservatives are suitable for creams and lotions "
Staff Answer Any preservative for water based products can be used. This would also include Germaben II and Germall Plus. "What is the Difference between Optiphen plus and Optiphen ND. I see that they appear to perform similarly,so when and with what should I use each with? I know i need to preserve anything with water or that will be use by water. I'll be making product like facial toners, scrubs(face and body), maybe at some point, lotions. " Staff Answer Optiphen ND works best in surfactant or detergent based products such as body wash, shower gels and shampoos. Optiphen Plus works best in lotions, emulsified scrubs and body sprays. 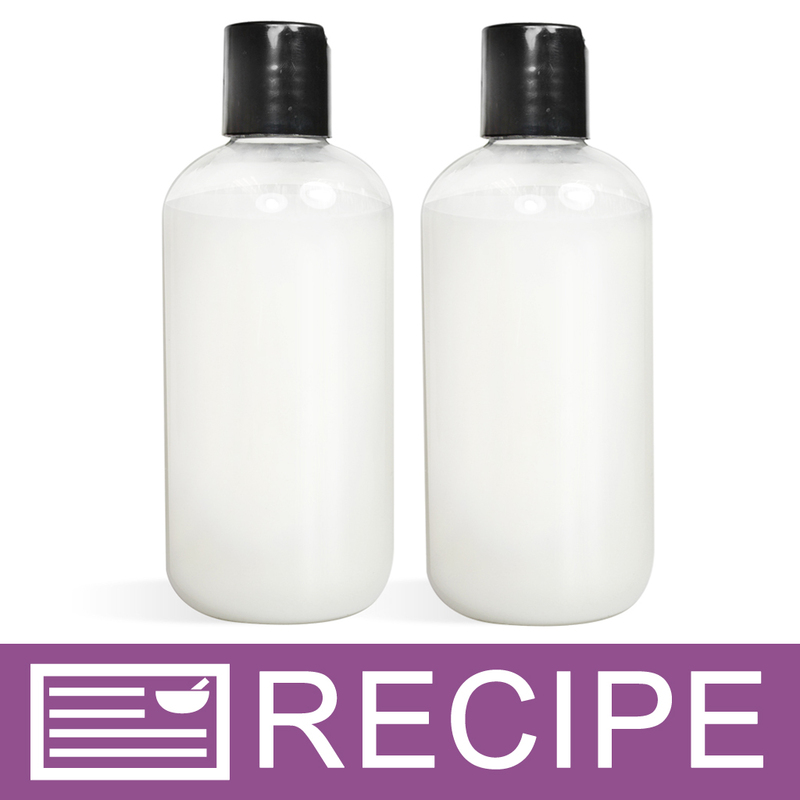 "I'm new to making soaps and lotions, I have a question regarding this ingredient. How much do you put in when making lotions? What do you calculate to get the answer? Thnx! Michelle"
"I'm kind of confused about the difference between Optiphen ND and Optiphen Plus, I see the formula is slightly different, but the descriptions for what they're good for seem pretty much the same. In what instance would you choose one over the other? If I'm planning on making rose water + ACV + botanical extract powder face toner and spray, which one would be best?" Staff Answer These preservatives are very similar but for your product, the Optiphen Plus would be fine. "Can you please tell me if the Caprylyl Glycol in this Optiphen ND is plant derived, or from animals? I've read it can be both but want to be sure before I label anything vegan. Thanks! " Staff Answer The Caprylyl Glycol is actually a synthetic, not plant or animal derived. "Could this product be used to preserve diaper rash cream that only contains shea butter, beeswax, bentonite clay and non-nano zinc oxide?" 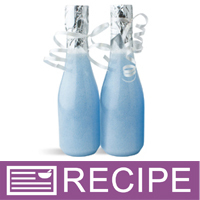 Staff Answer Since this recipe does not contain water, it is not necessary to add a preservative. We do recommend adding Vitamin E as an antioxidant to keep oils and butters from going rancid. "Hi :) I really want to use this as my preservative for lotions but if I can't use emulsfying wax with it what would you recommend I replace the wax with and still get a good emulsion? Thank you"
Staff Answer You can use this preservative along with your emulsifying waxes. The main ingredient in question is Ceteareth-20 which can de-activate the preservative. This is found in our Soft & Silky E-Wax and is combined with Cetearyl Alcohol. If this wax only contained the Ceteareth-20, you would not be able to use the Optiphen ND. It is only part of the e-wax so it is fine to use. Cetereath-20 cannot be used alone as it is not a complete emulsifier. "Would this work for a rice water/milk face toner?" Staff Answer For facial products, we try not to use preservatives in a recipe. It sounds like this face toner might be best kept in the refrigerator since it would have a short shelf-life. "Can I use the Optiphen ND in my body scrubs?" Yes, it is recommended that one use a preservative like Optiphen for oil based products that make get water in them from wet and such.